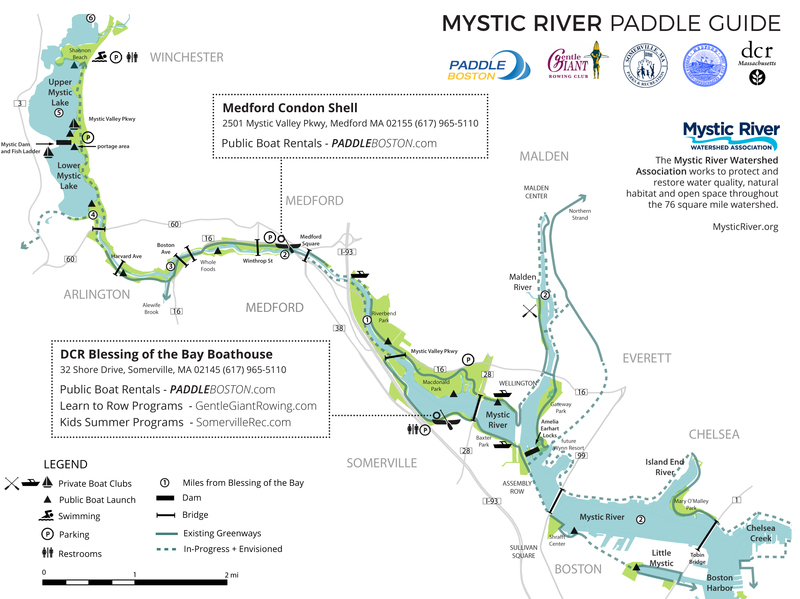 Paddle the full seven miles of the Mystic River, including skyline views and access to the scenic lakes and swimming area. Taking a right out of the boathouse, you are just shy of one mile downstream to the Amelia Earhart Dam and Locks and entrance to the Boston Harbor. To the left, you can paddle about four miles upstream to the beautiful Mystic Lakes area with public swimming and plenty of places for picnics along the way.